Will homeowner’s insurance protect me from storm-driven power surges? 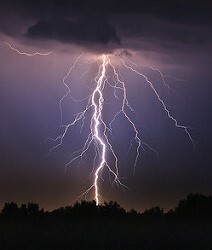 Mosaic Insurance can review your homeowner's policy and make sure your Prescott home and property are adequately covered.Monsoon season brings with it thunderstorms that cause power outages and even power surges. Mosaic Insurance wants Prescott homeowners to understand what is covered in their insurance policies when it comes to threats to appliances and electronics caused by sudden spikes in electricity known as power surges. Any electronics that happen to be plugged in during a power surge can be, without warning, turned into expensive and useless scrap which can be costly to replace. Your homeowner’s coverage for personal property may help cover the cost of damaged or destroyed electronics and appliances. Power surges are primarily caused by the weather or sudden changes in your home's electrical loads, and can even be the result of work being done by your local power company. Your homeowner's insurance policy will generally cover your dwelling, other structures like a separate garage or shed, and personal property within your house. Coverage providing for your personal property should help replace any lost or damaged items, up to the limits of your personal property coverage, if the loss was caused by a covered event. You can still plan for unexpected power surges by having an up-to-date inventory of the personal items throughout your home in case the need arises and you have to make a claim. After making a detailed inventory of your home, you can decide whether or not you are sufficiently covered by your insurance policy. You can also help protect yourself from those unexpected power surges by installing surge protectors and unplugging sensitive electronics and appliances during high-risk storms.